PewDiePie and T-Series, two of the most subscribed channels on YouTube, have been running the most famous race on YouTube for the past couple of months, as we see the gap between their subscribers count reduce everyday. While T-Series was edging closer to PewDiePie with every passing minute, PewDiePie’s fans are trying their best to help him keep his throne. After his fierce attempt to promote PewDiePie’s channel by buying ad space on billboards across Los Angeles, notorious YouTuber Jimmy ‘Mr. Beast’ Donaldson has now come up up with yet another stunt. Yesterday, MrBeast posted a video on his YouTube channel in which you’ll see him say the word “PewDiePie” 100,000 times. Yes, the video is more than 11 hours long, and all MrBeast did was sit in front of the camera and kept saying PewDiePie. But this last video where MrBeast chants PewDiePie 100,000 times went viral, as expected. The video has garnered over 4 million views at the time of writing this, and I am sure millions of others will tune in to check it out. I say this because most of his “counting” videos have around 15 million views each. Like it or not, this feeble attempt to attract some eyeballs seems like it has worked out pretty well for both MrBeast and PewDiePie. Ever since MrBeast dropped the announcement of this video, he started getting more attention. He was wildly covered by media, which in turn got him more subscribers and views. According to the numbers shown on Social Blade, MrBeast gained as many as 300,000 subscribers in the past two days, which is significantly higher than this average growth. And believe it or not, even PewDiePie gained significantly more subscribers than usual, thereby widening the gap between him and T-Series. 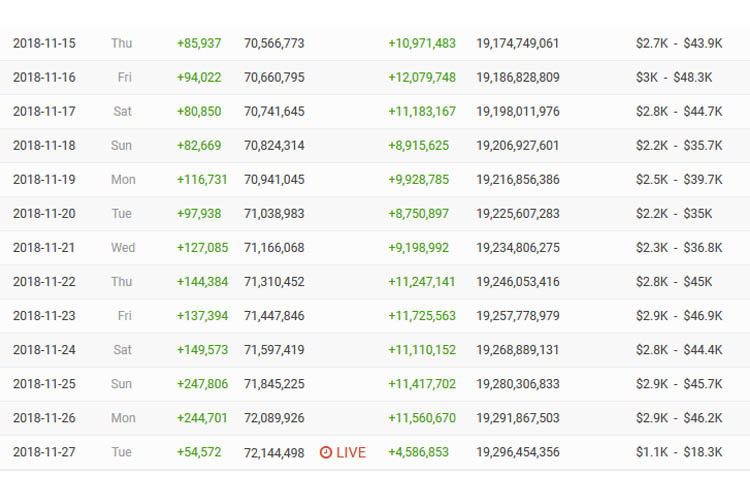 As you can see PewDiePie gained over 100,000 subscribers more than his daily growth, which, amidst a crucial battle against T-Series, makes a huge difference. So naturally, PewDiePie seems pretty happy about it, and commented “goddamn hero” on MrBeast’s video. Sounds crazy, right? Well, if you anything about Jimmy or if you’ve watched his previous live streams, then this might not really be very surprising. 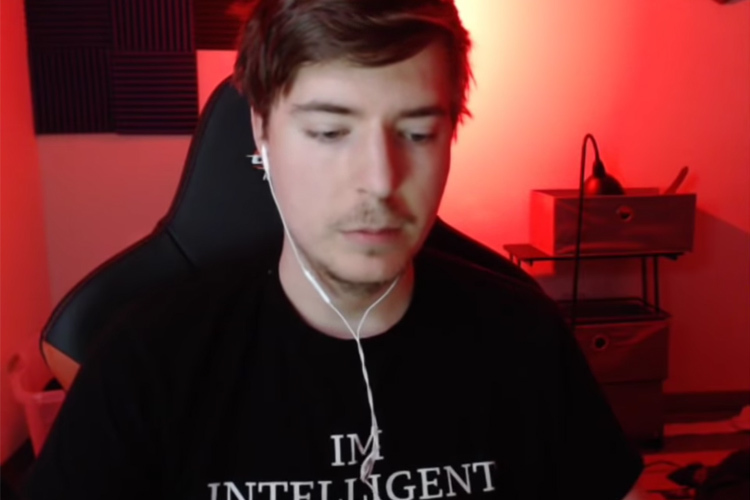 MrBeast is known for his ‘clickbait’ content. You may have seen him tipping absurdly huge amounts, or buying a car only using pennies. 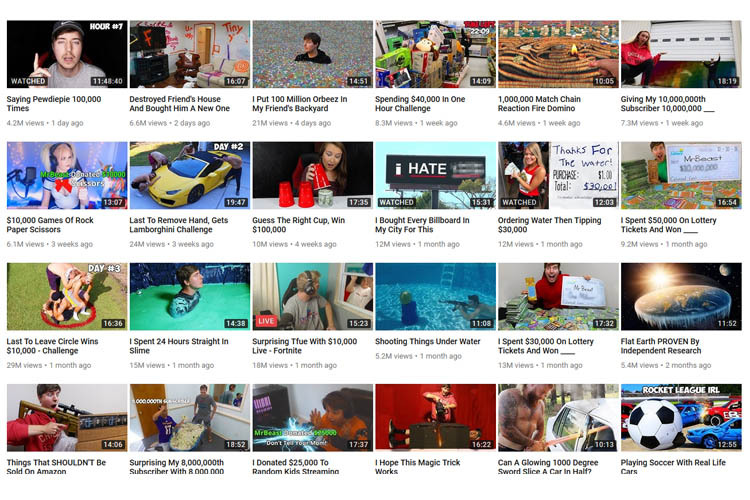 A 24-hour video of MrBeast, in which he’s counting to 100,000, went viral last year, following which he started uploading similar videos. You can check out his channel (or rather not), to watch him saying Logan Paul 100,000 times or watching Jake Paul’s “It’s Everyday Bro” video for 10 hours straight. Of course, he’s merely doing these videos for views and, obviously, money. So, what’s the takeaway? Well, the way I see it, YouTube has become a “drama-house” where a lot of creators keep making feeble attempts to gain subscribers and views. Logan Paul used to put out very similar content back before his Japanese Suicide Forest controversy blew him off the charts. Anyway, what are your thoughts on this? Do you think people are over-exaggerating PewDiePie vs. T-Series controversy? Let us know by dropping a comment below.